Gorgeous Fischer-Frichtel former Chesapeake display is loaded with upgrades, updates and improvements! 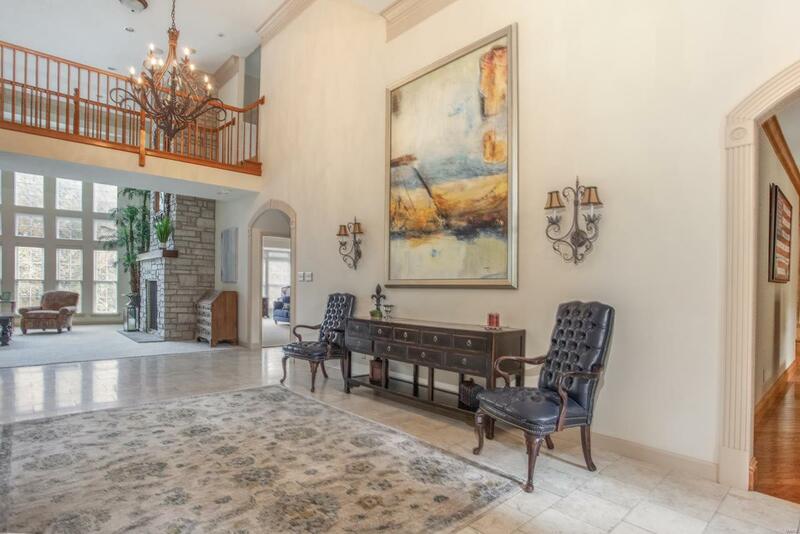 The captivating two story foyer has stone floors and offers a view into the spacious great room w/ stone hearth & bowed floor to ceiling windows. Newly renovated kitchen has wide plank wood flooring, a huge island, quartz countertops, professional grade Wolf gas range w/ beautiful backsplash, a cozy hearth room, butler's pantry & wet bar. 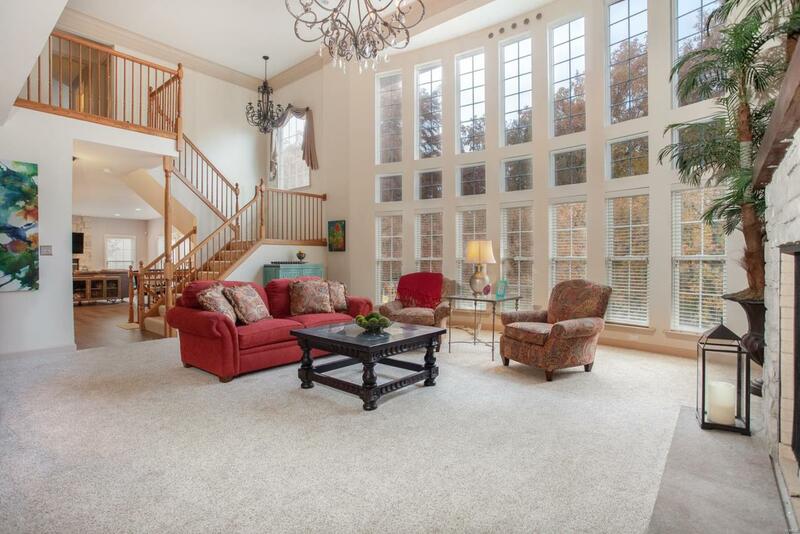 The spacious main floor master has a coffered ceiling, huge master bath and closet by St. Louis Closets. 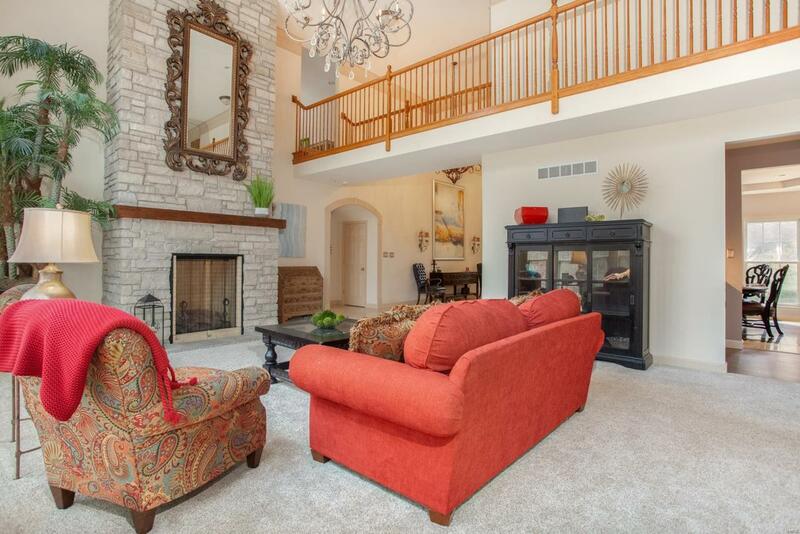 Upstairs you'll find 3 spacious bedrooms with walk in closets and a huge bonus/play room. 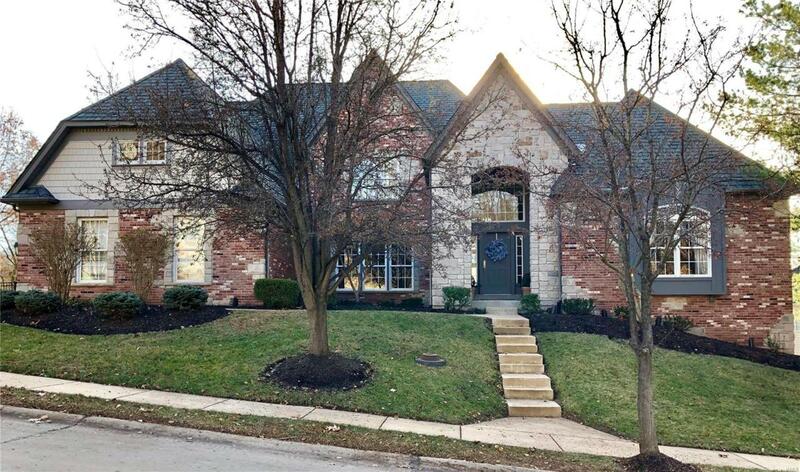 Incredible over-the-top lower level finish boasts box beam ceilings, a ventless stone fireplace w/custom built ins, huge custom walk-behind bar, exercise room, 2 beautiful bedrooms, 2 amazing full baths. The yard is large, level and fenced for play. Prior owners had pool plans drawn up and approved by Wildwood. Top rated Rockwood schools! Upgraded roof!